Brake and Rotor Repair | Westside Transmission & Automotive Inc. When Los Angeles car owners need brake and rotor repair, they turn to the team at Westside Transmission and Automotive. Our highly professional ASE-Certified auto technicians at Westside Transmission and Automotive are qualified experts at all auto repair services, major or minor. We genuinely have a passion for our work and can repair automobile issues that other auto repair shops might miss. 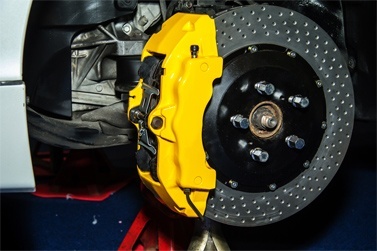 Your vehicle will require brake and rotor repair from time to time. For your safety and the safety of your passengers, it’s crucial not to ignore this service. The auto technicians at Westside Transmission and Automotive can provide you leading brake and rotor services at the right price. The owner, Jack DeBasc, and the rest of his team play on each other’s strengths to keep promises and meet auto repair deadlines. Our auto technicians have the specialized background to handle the most complicated repairs. We welcome you to contact us at Westside Transmission and Automotive if you need brake repair. We’re centrally located at 2050 Cotner Avenue in Los Angeles, CA 90025. The team of ASE-Certified auto technicians at Westside Transmission and Automotive are ready, willing, and able to assist you with brake repairs. We look forward to your visit and providing you exceptional service!